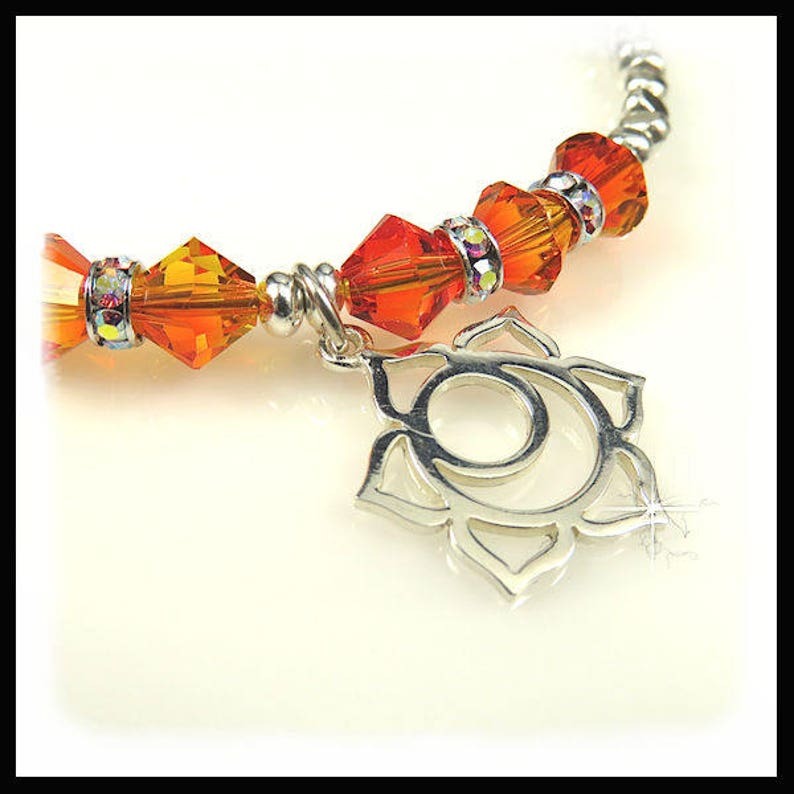 Fireopal Swarovski crystals surround the sterling silver Sacral charm. The orange crystals are composed of red and yellow in equal parts and is a color of vitality and strength. Sacral chakra is associated with feeling and emotions and is commonly known as Svanhisthana. The bracelet also includes rhodium plated Swarovski rondelles, fine silver nuggets and is finished off with a sterling silver lobster clasp. 2177B, Goldstone multi strand bracelet with sterling silver chain, rust color jewelry, multi-strand jewelry, .